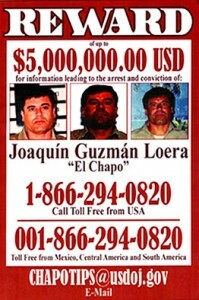 It upset a lot of people when Mexico’s 54 year old Joaquin Guzman Loera made it to the Forbes list of top billionaires. Mr. Guzman, a self-made man, is ranked number 701 on the list. It is interesting that Forbes says that Mr. Guzman is in the “shipping” business just like Sir Richard Branson, Britain’s owner of Virgin Air. Yes, Mr. Guzman is indeed in the shipping business – he ships narcotics to the United States. 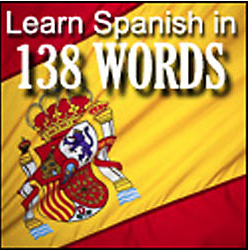 Joaquin Guzman Loera is known in Mexico, as “El Chapo,” (stocky Guzman – for those of you who are not familiar with Mexican names, the mother’s maiden name is added on to the end of her son’s name – a nice tradition which honors one’s mother). El Chapo was born in La Tuna a small mountain village of some 40 houses. La Tuna is in Badiraguato County, which is the birthplace of most of Mexico’s famous drug lords. Badiraguato’s location has a lot to do with it: It’s the gateway to Mexico’s “golden triangle,” a remote, mountainous intersection of Sinaloa, Durango and Chihuahua states where opium and marijuana have been grown for generations. It was even grown there during World War II by the U. S. Army, as opium was needed for the wounded. Now El Chapo heads the Sinaloa cartel, one of the biggest suppliers of cocaine to the U.S. In 2008, some say that Mexico brought in $52 billion from the U.S. for narcotics. Apparently, there is a war going on between El Chapo and the Tijuana drug cartel over Mexicali – as Mexicali is right on the U.S. border – perfect for smuggling. Currently, Mexicali is said to be under the control of El Chapo. The most recent seizure here occurred on Sunday, June 14, when officers arrested a 35-year-old male U.S. citizen after a human/narcotic detector dog alerted the police to the vehicle. Eleven wrapped packages of cocaine co-mingled with nine wrapped packages of methamphetamine concealed within the vehicle’s dashboard. The total weight of the narcotics was 44 pounds with a street value of $415,500. The second seizure occurred on Saturday, June 13, at about 4:30 p.m., when officers arrested a 45-year-old female Mexican citizen (from Mexicali) driving a brown 2001 Ford Sport Track pick-up truck after a detector dog alerted the police to the vehicle. Twenty-five wrapped packages of cocaine were concealed inside a specially built compartment located underneath the back seat area of the vehicle. The total weight of the narcotics was 63 pounds with a street value of $567,000. The third seizure occurred on Friday, June 12, at about 2:30 p.m., when CBP officers arrested a 23-year-old female Mexican citizen, a resident of Mexicali, driving a grey 2004 Chevy Trailblazer after a detector dog alerted police to the vehicle. The officers discovered 18 wrapped packages of cocaine concealed inside a secret compartment in the front fender area of the vehicle. The total weight of the narcotics was 48 pounds with a street value of $432,000. The total value of narcotics seized in these three arrests came to $1,414,500. Given all this activity, and El Chapo, you might think that Jim and I are under siege here in Mexicali. No way! We get more grief from the U.S.
Well, like I said at the beginning of this post – a lot of people were upset when El Chapo made the Forbes billionaire list. The thing that upset me the most last week was that I was turned down when I tried to purchase contact lenses on the Internet. Seems that my last eye exam (at Wal-Mart) was done over a year ago. So to “protect” me the lens company had to turn down my order until I had another (expensive) eye exam. What a scam! Who is being protected here are the eye doctors! The guy at Wal-Mart did not even notice that Jim was developing a cataract! This requirement to have a valid U.S. eye exam and prescription made within the last twelve months helps no one – and is so typical of the all the scams you run into in the U.S. Mind you, just because we are against U.S. scams, does not mean that Jim and I are against the U.S. We are true blue Americans. Still, we don’t like scams – anywhere. “That’s a crock of bull,” said Jim. Not being able to buy contact lenses on the Internet without paying some U.S. eye doctor, Jim and I hoped into our truck and drove to Los Algodones, only 40 miles east of Mexicali. There, we had a great lunch at the El Pueblo Viejo Restaurant, and went to good old Meyer Optical (where the eye exam is free), and picked up a box of contact lenses. So, between El Chapo, and the U.S. eye exam requirement, we got the most aggravation this week from the U.S. eye exam requirement.